About to take an Industrial/Organizational Solutions (IOS) exam? JobTestPrep has a range of online I/O Solutions test preparation resources that are geared to help you practice and score higher on your public safety assessment exam. I/O Solutions specializes in public safety exams. It offers a wide variety of exams that measures skills and abilities important to the public safety job for which you've applied. None of the exams require previous experience in law enforcement. Most of the exams contain both cognitive and non-cognitive sections. Learn more about I/O Solutions law enforcement exams. Each exam assesses the skills required to be a firefighter. The exams contain both cognitive and personality sections. Learn more about I/O Solutions firefighter exams. I/O Solutions provides the National Correctional Officer Selection Inventory (NCOSI) exam for correctional officers. This exam focuses on both personality questions and cognitive questions, which aim to assess whether you will be a good fit for the position. Learn more about correctional officer exams. I/O Solutions provides the National Public Safety Dispatcher Selection Inventory (NPSDSI) for 911 dispatchers. The NPSDI is a mostly audio exam that requires a lot of multitasking and answering questions while simultaneously answering questions. Learn more about dispatcher exams. The entry-level exams tend to have the same format. They are multiple choice exams allowing the respective departments to have near instant answers regarding your test. What differentiates I/O Solutions from other companies that produce law enforcement exams is the focus on their personality test, the Integrity Inventory. It is added onto every exam to ensure your personality fits the position. The questions differ between exams, as the questions are written to emulate the situations that may occur in respect to the different public safety positions. 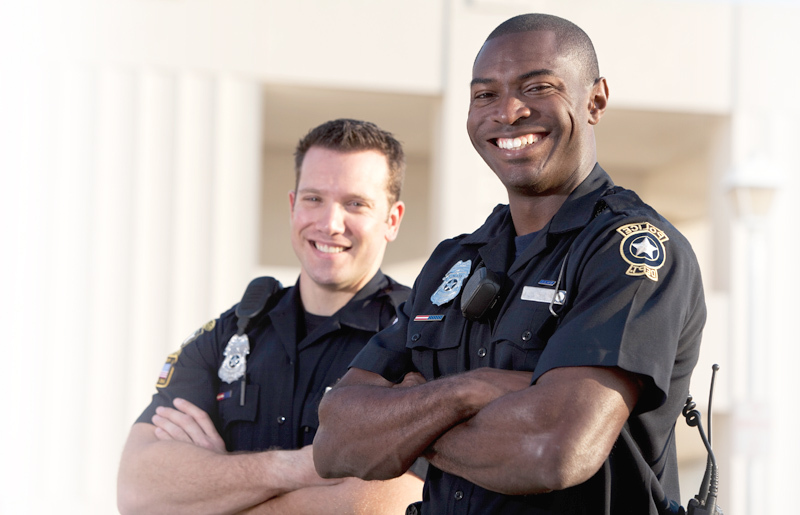 I/O Solutions also provides law enforcement exams that are catered to specific locations. In Ohio, the exam is known as the Ohio Law Enforcement Selection Inventory. The OH-SELECT test is separated into two completely separate tests that are based on knowledge and personality. In Florida, the entry-level police officer exam is called the Criminal Justice Basic Abilities Tests. The CJBAT test has two separate variations within itself—the CJBAT Law Enforcement Officer and the CJBAT Correctional Officer. In New Jersey, the entry police test is called the New Jersey Law Enforcement Exam. The LEE Exam is one of the exclusive police tests given within the state of New Jersey. As public safety is one of the most prominent civil service jobs in the country, the positions are hard to come by, and when they do open up, they are very sought after. Candidates tend to be graded on everything they undertake, and to ensure you are at the top of the candidates list, you are encouraged to practice for the public safety written exam. JobTestPrep offers customized practice tests that are similar in style to the I/O Solutions Public Safety Entry Level Exams. Our I/O Solutions practice tests and study guides are guaranteed to help you excel. I/O Solutions and other trademarks are the property of their respective trademark holders. None of the trademark holders are affiliated with JobTestPrep or this website.